When we mention the Toyota Hiace model, the first thing we could think of is its reliability. This model first debuted back in 1967. And it has been available in several body styles such as pick-up, double cab, minibus, and van. Since its introduction, it has been changed over the five generation which is at the same time the current. The fifth generation model has arrived in 2004 and has been available in a wide long-wheelbase wagon, wide super-long-wheelbase high-roof wagon, long-wheelbase van, long-wheelbase high-roof van, and wide super-long-wheelbase high-roof van. As well, moving through the cabin has become much easier with this generation model. However, this time we will talk about the newest version which will enter the market as the 2019 Toyota Hiace. 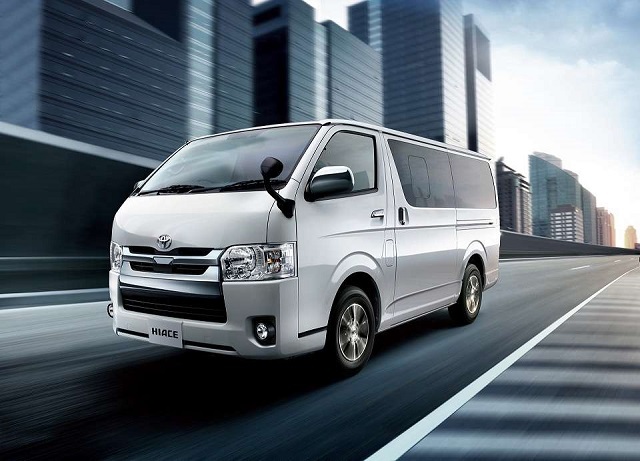 Although the new Hiace model will still represent the current generation model, it is expected to continue to be the brand’s best-selling model in its class. It is known for its durability, comfort, and reliability. As well, it comes with very high safety ratings, and with various active and passive safety systems. The 2018 model year has arrived with upgrades under the hood and also in the safety department. So, by all odds, the 2019 model year will most likely be a carryover of the current version. Depending on a market, the 2019 Toyota Hiace will be available with several types of engines. So, in Japan, this model will arrive with a 2.8-liter inline-4 turbo-diesel engine which will be able to make 149 horsepower. This unit will be mated to a 6-speed automatic instead of the old 4-speed automatic gearbox. There will also be gasoline engines: a 2.0-liter inline- 4 1TR-FE with the output of 134 hp and a 2.7-liter inline-4 2TR-FE engine which will be able to make 158 horsepower. These engines will also work with a six-speed automatic. Some markets will also offer a 2.5 2KD-FTV inline-4 which will produce 107 hp and 3.0-liter 1KD-FTV inline-4 with the output of 142 horses. As well, it will arrive with a 3.0-liter 5L-E I4 which can generate 91 hp; and there is a 2.2-liter 4Y-E inline-4 with 94 horsepower. When it comes to exterior design, the 2019 Toyota Hiace will probably keep the same, familiar design as the current version. Inside the cabin, it will also arrive with the same specification as before. 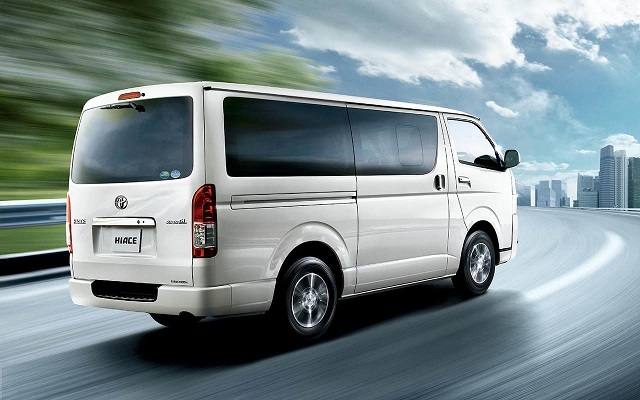 The 2019 Toyota Hiace will be very spacious, comfortable and very well equipped. 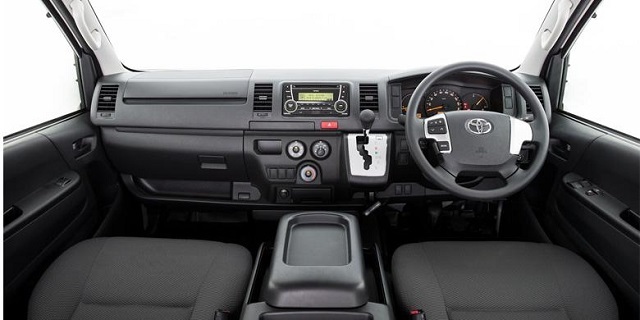 The dashboard is wide and very practical with many controls which are easy to operate. The safety will be on the highest level, and the previous version has added even more features. It now comes standard with the latest Safety Sense System. As well, there are anti-lock brakes, traction control, stability control, lane departure alert, automatic high beams, front collision avoidance/mitigation, pedestrian detection, and so on. It is still not clear when exactly the new 2019 Toyota Hiace will go on sale. As for the price, we assume that there won’t be any large departure from the current model.